The year is 850. In the seas of northern Europe, the small coastal village of Elasund falls prey to marauding neighbors. Their food stores pillaged, women and children stolen, livestock destroyed, the villagers are left to barely survive the harsh winter — and contemplate a drastic solution to their recurring hardships: leaving the only village they have ever known. Foster brothers Candamir and Osmund lead their people on an epic quest to a mythic island home, but without knowledge of exactly where the island is, they must trust the gods to deliver them safely. 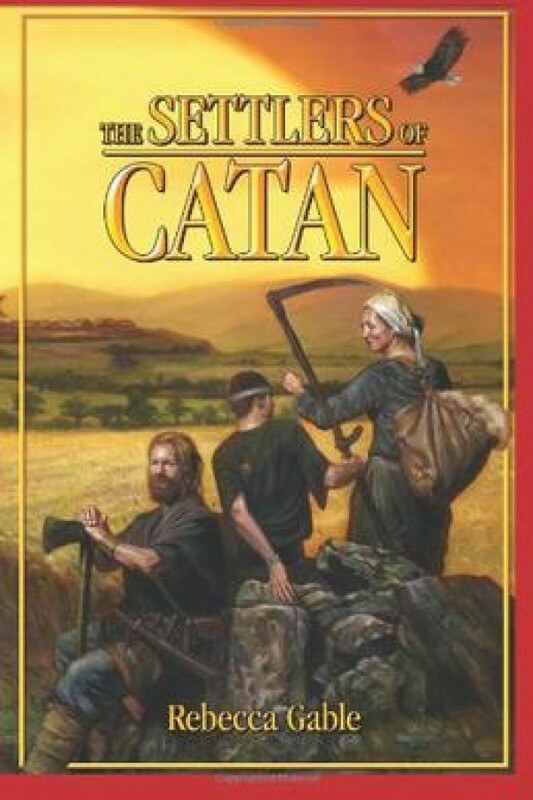 Lost at sea and set adrift, an extraordinarily violent storm washes them ashore the island famed in pagan lore: Catan. They quickly set about building a new society but old grudges, animosities, and social orders lead to fraternal strife. As the ideals of Candamir’s Christian slave spread throughout the village and conflict with pagan law, the two belief systems clash. When both Osmund and Candamir fall in love with Siglind, the mysterious queen of the Cold Islands, things come to a head. Based on the wildly popular board game of the same name designed by Klaus Teuber, Rebecca Gable’s The Settlers of Catan is a must-read adventure rich in detail and rippling with intensity.